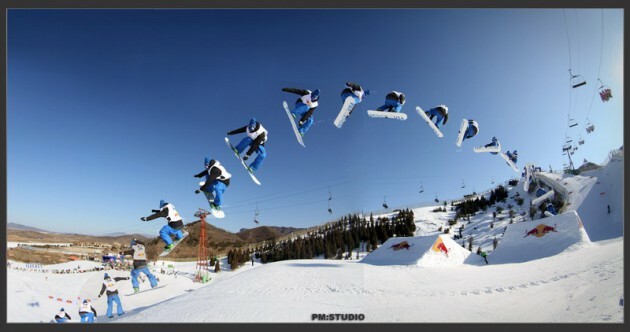 Nanshan Open 2011. Sergey Lapushkin- third place. 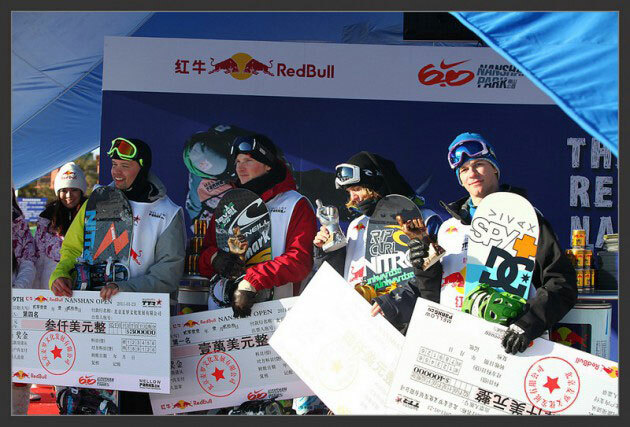 The 4Star 9th Red Bull Nanshan Open brought some top-level slopestyle competition to the Nike 9.0 Nanshan park in China this weekend where Finnish rider, Janne Korpi, took home the win. There were a total of 22 riders vying for a piece of the $30,000 USD prize purse and a maximum of 500 TTR ranking points. Janne beat out the other invited riders from around the world and seven local Chinese riders who qualified through a preliminary event earlier in the week. 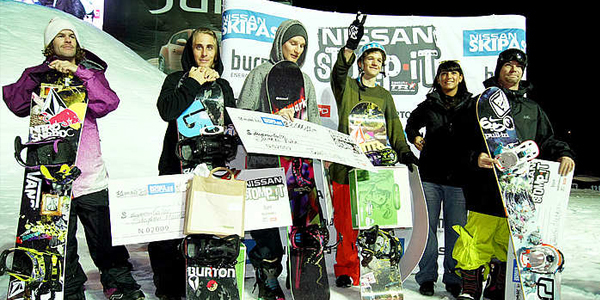 Second place went to Swedish rider, Anton Bilare, and Sergey Lapushkin, from Russia, took third. With his win this weekend, Janne moved himself up a couple of notches in the Swatch TTR World Rankings to World No. 5. We congratulate Sergey with third place, on Nanshan Open! We wait rider from Novosibirsk on “Igora” Ski Resort, on Quiksilver New Star. For a long time winter season in St.-Petersburg didn’t open so early! 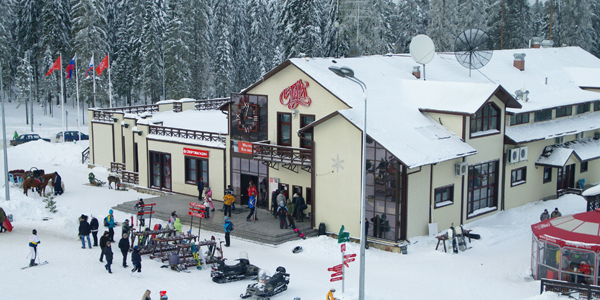 This Saturday on November 26th the mounting skiing resort “Igora” has opened a winter season. Wait for all of you on slopes! After a 3-year break new title sponsor Nike brings Air & Style back into the Olympic Stadium Munich / Unique mix of snowboarding and music. 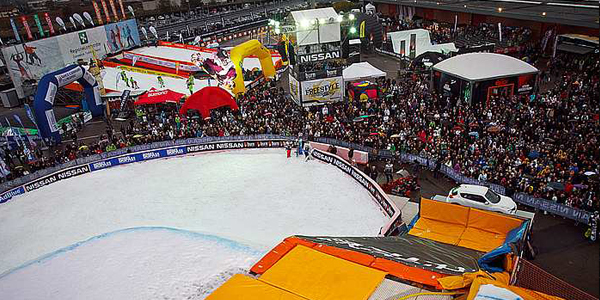 With a new title sponsor the snowboard world elite returns into the Olympic Stadium at the Nike 6.0 Air & Style Munich on February 12th 2011. After a 3-year break the Mother of all snowboard events return into the Bavarian capital and Olympic applicant city 2018, thanks to Nike’s dedication to the contest. “Women in Snowboarding – A History” is the fifth video segment from a collection cut out of the 2009/2010 Swatch TTR TV Show series and is the first part of three that will focus on influential women in snowboarding and the development from the early days. 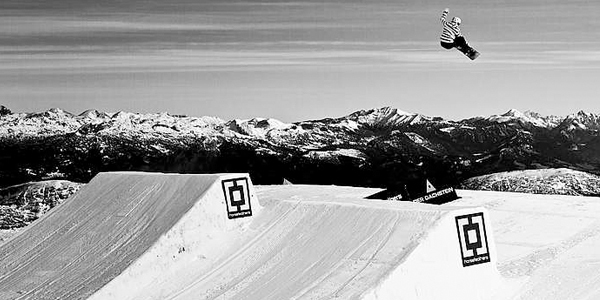 The first part of the “Women in Snowboarding – A History” series delves into the complexities of being a female snowboard athlete and the development of the female side of the sport. Early pioneers such as Tara Dakides, Janna Meyen-Weatherby and Stine Brun-Kjeldaas talk about the early days of snowboarding and how women pushed their way into the spotlight and began staking their own claim. Lisa Wiik, Chanelle Sladics, Kjersti Ostgaard-Buaas and Cheryl Maas all look back on the importance of these pioneers of the sport to the current situation on the TTR Tour. Chanelle talks about how Tara, Janna and Stine all paved the way for the current generation of riders to work hard and make a career out of snowboarding, saying “We have such blessed lives, it’s so cool to connect with those girls, because they are the reasons why we are getting paid and they’re the ones saying: Hey we can do this too.” Also sharing their views on the importance of the TTR Tour for women are Torah Bright, Silvia Mittermueller and Sarka Pancochova. It was a perfect day up on the Dachstein glacier in Austria for the 4Star Horsefeathers Pleasure Jam, where riders were greeted with bluebird skies, warm weather and light winds. The day kicked off with men’s and women’s slopestyle semi-final rounds in the morning and finished off with finals in the afternoon. German rider, Elias Elhardt, brought his A-game to win the event for the second consecutive year, as did reigning TTR Tour Champion, Enni Rukajärvi (FIN), which boosted her into the women’s TTR World Ranking lead. Both riders earned 500 Swatch TTR Ranking Points and left the glacier with a healthy slice of the $20,000 USD prize purse. 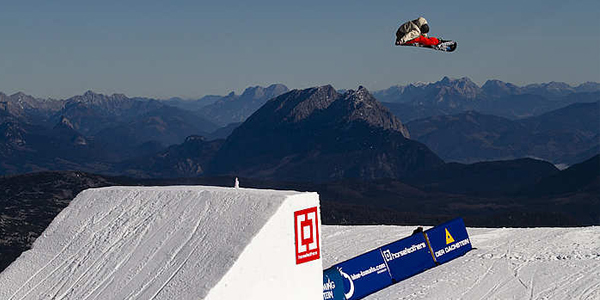 The competition season in the Northern Hemisphere is gathering momentum and European riders will be converging on the Dachstein glacier in Schladming, Austria this weekend for the 4Star Horsefeathers Pleasure Jam. This will be the 8th year running for the Pleasure Jam, which has become many riders’ favorite early season event. 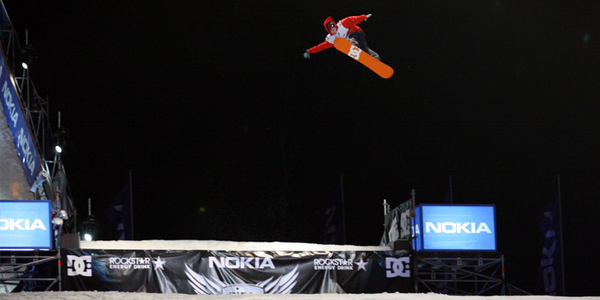 Both men and women are gearing up to compete in slopestyle and will be going after the healthy $20,000 USD prize purse. The action will kick off on Friday, November 12th, 2010 and will wrap up with finals on Saturday, November 13th. In Winter season 2010 – 2011 will pass 15 events, which have rank 4 star TTR. They will pass in USA, Austria, Canada, Germany, Switzerland, China, Italy and Russia. These are such events as: Red Bull Nanshan Open, Ride Shakedown, Absolut Park Spring Battle, Protest World Rookie Finals, Quiksilver Showdown Over the City. The 4Star Nissan Stomp-It went down this weekend in Modena, Italy where Gerome Mathieu (FRA) took home his first 4Star TTR title. Set in an urban environment outside the convention halls of the Skipass tradeshow, the event had a great turnout despite the challenging weather conditions. 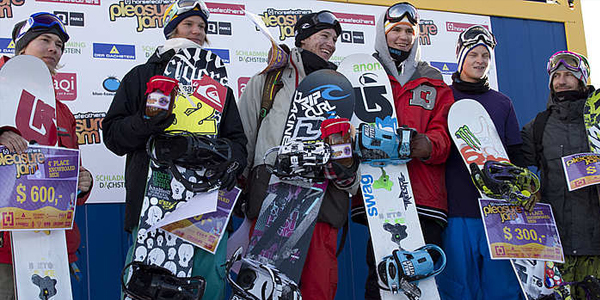 Mathieu took home 8000 USD and 500 TTR ranking points for his first place win, local Italian rookie Marco Grigis took second place and third went to Jaakko Ruha (FIN), who also received the 2000 USD and the “Styleman” title with his Frontside 900 Indy. 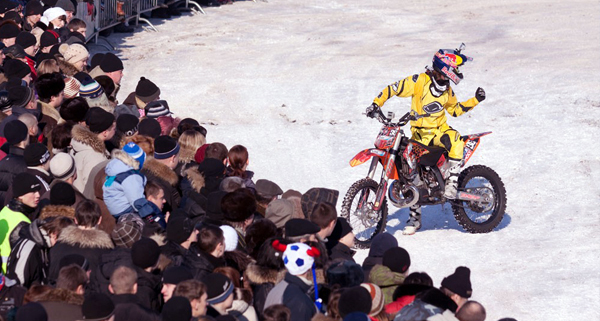 On New Star invitational will pass battle of the best Rusian fmx riders! 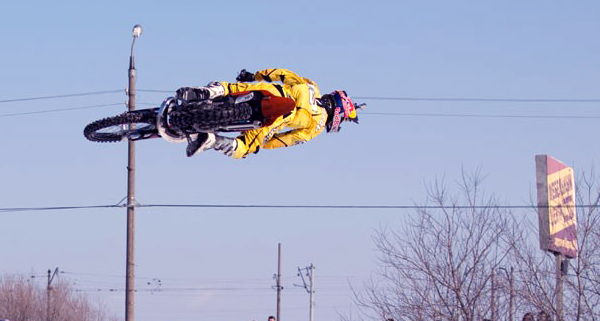 They will disperse motorcycles and on huge speed will fly up in sky to execute mad tricks!